The job market doesn’t get much better than this. The U.S. economy has added jobs for 100 consecutive months. Unemployment recently touched its lowest level in 49 years. Workers are so scarce that, in many parts of the country, low-skill jobs are being handed out to pretty much anyone willing to take them—and high-skilled workers are in even shorter supply. All sorts of people who have previously had trouble landing a job are now finding work. Racial minorities, those with less education and people working in the lowest-paying jobs are getting bigger pay raises and, in many cases, experiencing the lowest unemployment rate ever recorded for their groups. They are joining manufacturing workers, women in their prime working years, Americans with disabilities and those with criminal records, among others, in finding improved job prospects after years of disappointment. There are still fault lines. Jobs are still scarce for people living in rural areas of the country. 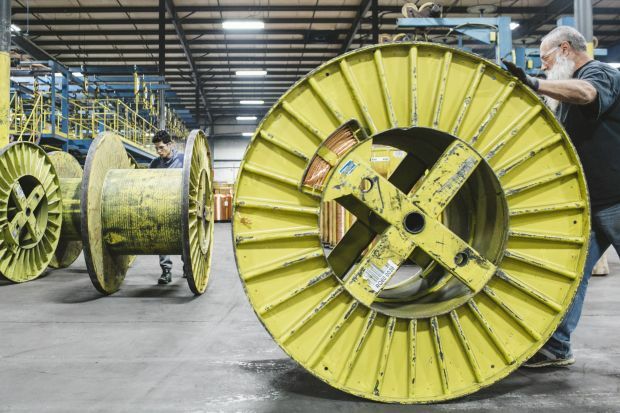 Regions that rely on industries like coal mining or textiles are still struggling. And the tight labor market of the moment may be masking some fundamental shifts in the way we work that will hurt the job prospects of many people later on, especially those who lack advanced degrees and skills. But for now, at least, many U.S. workers are catching up after years of slow growth and underwhelming wage gains. One face of the red-hot job market is Cassandra Eaton, 23, a high-school graduate who was making $8.25 an hour at a daycare center near Biloxi, Miss., just a few months ago. Now she earns $19.80 an hour as an apprentice at a Huntington Ingalls Industries Inc. shipyard in nearby Pascagoula, where she is learning to weld warships. The unemployment rate in Mississippi, where Huntington employs 11,500 people, has been below 5% since September 2017. Prior to that month, the rate had never been below 5% on records dating back to the mid-1970s. In other parts of the country, the rate is even lower. In Iowa and New Hampshire, the December jobless rate was 2.4%, tied for the lowest in the country. That’s helped shift power toward job seekers and caused employers to expand their job searches and become more willing to train applicants that don’t meet all qualifications. 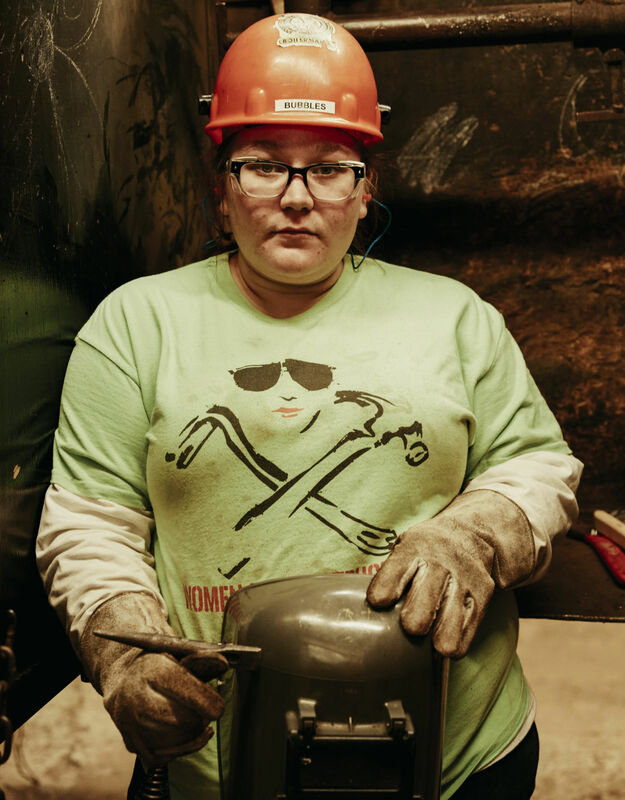 “It’s amazing that I’m getting paid almost $20 an hour to learn how to weld,” says Ms. Eaton, the single mother of a young daughter. When she finishes the two-year apprenticeship, her wage will rise to more than $27 per hour. It’s no surprise to economists that many people who were previously left behind are now able to catch up. It’s something policymakers have been working toward for years. Obama administration economists debated how to sustain an unemployment below 5%. Now Trump administration officials are considering how to pull those not looking for jobs back into the labor force. This was one of Ms. Yellen’s hopes when she was running the Fed from 2014 to 2018; keep interest rates low and let the economy run strong enough to keep driving hiring. In the process, the theory went, disadvantaged workers could be drawn from the fringes of the economy. With luck, inflation wouldn’t take off in the process. Her successor, Jerome Powell, has generally followed the strategy, moving cautiously on rates. “This is a good time to be patient,” Mr. Powell told members of Congress Tuesday. The plan seems to be paying big dividends now, but will it yield long-term results for American workers? Two risks loom. 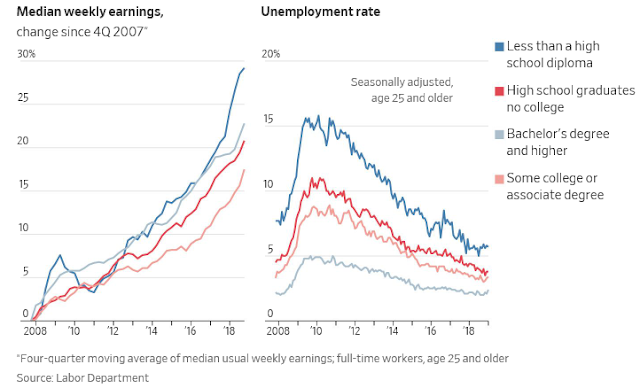 The first is that the low-skill workers who benefit most from a high-pressure job market are often hit hardest when the job market turns south. Consider what happened to high-school dropouts a little more than a decade ago. Their unemployment rate dropped below 6% in 2006 near the end of a historic housing boom, then shot up to more than 15% when the economy crumbled. Many construction, manufacturing and retail jobs disappeared. The unemployment rate for high-school dropouts fell to 5% last year. In the past year, median weekly wages for the group rose more than 6%, outpacing all other groups. But if the economy turns toward recession, such improvement could again reverse quickly. “The periods of high unemployment are really terrible,” Ms. Yellen said. The second risk is that this opportune moment in a long business cycle might be masking long-running trends that still disadvantage many workers. A long line of academic research shows that automation and competition from overseas threaten the work of manufacturing workers and others in mid-skill jobs, such as clerical work, that can be replaced by machines or low-cost workers elsewhere. The number of receptionists in America, at 1.015 million in 2017, was 86,000 less than a decade earlier, according to the Labor Department. Their annual wage, at $29,640, was down 5% when adjusted for inflation. Tougher trade deals being pushed by the Trump Administration might help to claw some manufacturing jobs back, but economists note that automation has many of the same effects on jobs in manufacturing and the service section as globalization, replacing tasks that tend to be repeated over and over again. Andrew McAfee, co-director of the MIT Initiative on the Digital Economy, said the next recession could be the moment when businesses deploy artificial intelligence, machine learning and other emerging technologies in new ways that further threaten mid-skill work. 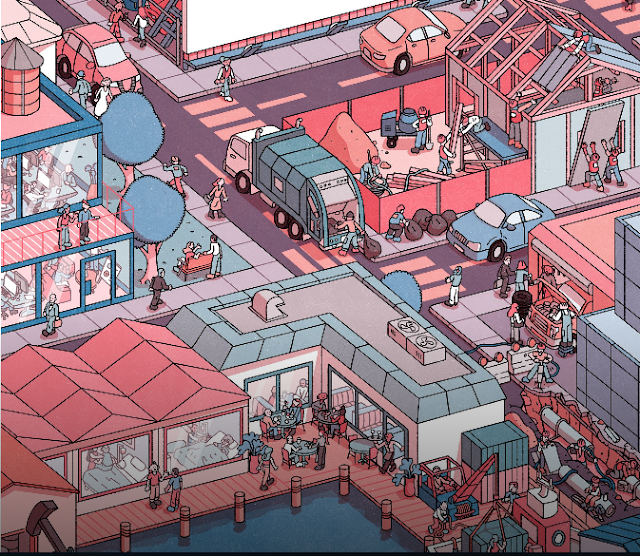 With these forces in play, many economists predict a barbell job market will take hold, playing to the favor of low- and high-skill workers and still disadvantaging many in the middle. The U.S. is adding jobs in low-skilled services sectors. Four of the six occupations the Labor Department expects to add the most jobs through 2026 require, at most, a high-school diploma. Personal-care aide, a job which pays about $11 an hour to help the elderly and disabled, is projected to add 778,000 jobs in the decade ended in 2026, the most of 819 occupations tracked. The department expects the economy to add more than half million food prep workers and more than a quarter million janitors. Those low-skill workers are reaping pay gains in part because there aren’t a lot of people eager to fill low-skill jobs anymore. Only about 6% of U.S. workers don’t hold a high school diploma, down from above 40% in the 1960s, according research by MIT economist David Autor. James O. Wilson dropped out of high school in the 10th grade and started selling drugs, which eventually led to a lengthy incarceration. 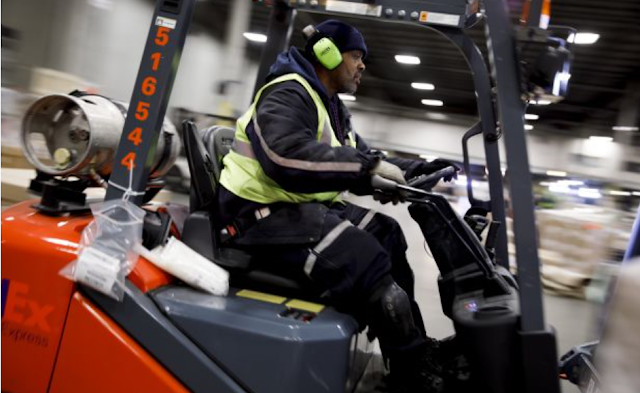 When Mr. Wilson, 59, was released in 2013 he sought out training at Goodwill, where he learned to drive a forklift. Those skills led him to a part-time job at a FedEx Corp. facility at an Indianapolis, Ind., airport. He was promoted to a full-time job in 2017, and is now earning more than $16 an hour. He has a house with his wife and enjoys taking care of his cars, including a prized Cadillac. Skilled workers in high-tech and managerial positions are also benefiting from the high-pressure labor market, particularly in thriving cities. Of 166 sectors that employ at least 100,000 Americans, software publishing pays the highest average wages, $59.81 an hour in the fourth quarter of 2018. Wages in the field grew 5.5% from a year earlier, well outpacing 3.3% overall growth in hourly pay. The average full-time employee in the sector already earns more than $100,000 a year. Other technical industries, scientific research and computer systems design, were also among the five best paying fields. Some of the hottest labor markets in the U.S.—including Austin, Texas; San Jose, Calif.; and Seattle—have more than twice the concentration of technical jobs as the country on average. A Wall Street Journal analysis of Moody’s Analytics data found Austin to be the hottest labor market in the country among large metros. It ranked second in job growth, third for share of adults working and had the sixth-lowest unemployment rate last year, among 53 regions with a population of more than a million. San Jose, the second-hottest labor market, had the lowest average unemployment rate last year and the second-best wage growth. While a strong economy is conveying benefits to a broad swath of Americans, those in rural areas aren’t experiencing the same lift from the rising tide. In metro areas with fewer than 100,000 people and in rural America, the average unemployment last year was a half-percentage point higher compared to metro areas with more than a million people, according to analysis by job search site Indeed.com. Bradley Cox lives in Vevay, Ind., a rural community of fewer than 2,000 people. The 23-year-old graduated with a bachelor’s degree in business administration and liberal arts from Indiana University East in December, but said he had found opportunities limited in his region. Other workers are employed—but need to string together two or more jobs to make ends meet. The good news is this long run of low unemployment could last for a while. 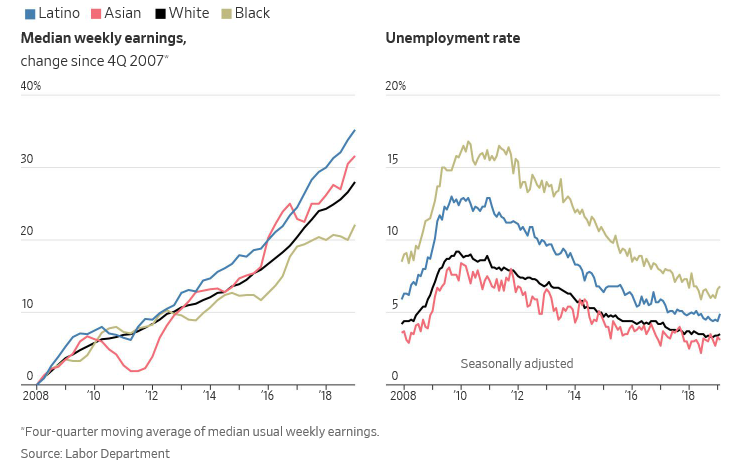 Economic theory holds that when unemployment is very low, it stirs inflation, which causes the Federal Reserve to raise short-term interest rates and short-circuit growth and hiring. That kind of cycle ended the 1960s period of low unemployment, but inflation in this period remains below the Fed’s target of 2%. That’s allowed the Fed to keep rates low. By January 1970, when the unemployment rate was 3.9%, the Fed had raised its target short-term interest rate to more than 8% to fight inflation. By contrast, when the jobless rate fell below 4% last year, the Fed kept its target rate below 2.5% thanks to low inflation. —Chip Cutter and Anthony DeBarros contributed to this article. One could ask why the review is happening now; economists have argued over the Fed’s framework for years. The first official answer is that economic conditions are ripe for some chin-stroking, with unemployment at its lowest level in decades and inflation close to target. Now is as good a time as any for the Fed to take stock. The second relates to the decline in interest rates around the world over the past decade, which could merit a change in the way monetary policymakers operate. Although central bankers should still be able to hit their inflation target in good times, when recessions strike they will find interest rates increasingly stuck at the lower bound of zero, with no room to cut them when the economy needs stimulating. The fear is that this downward drift blunts central bankers’ tools. If inflation hits the target in good times, but undershoots it in bad, inflation expectations could drift downwards. Since these expectations then influence wage and pricing decisions, they would in turn have an impact on actual inflation, making it harder to achieve the inflation target. Average-inflation targeting would mean that interest rates would be lower for longer after an inflation-sapping recession, as policymakers aim for a temporary overshoot. A shift in the framework could signal to investors and the public that the Fed would use monetary policy more aggressively to stimulate the economy in a recession, generating the sort of self-fulfilling confidence that could help a recovery. It might not work, of course, if no one believed that the Fed would be able to resist tightening policy when the economy did get going. It could also backfire. What if, in the process of temporary overshooting, inflation expectations began drifting above the target? On February 26th Pat Toomey, an American senator, sternly reminded Jerome Powell, the Fed’s chairman, that a period of overshooting would be a period without price stability. Cynics will dismiss the review as window-dressing. Even if Ms Gorath’s food bank contributes to her community, she had a point when she questioned her ability to inform monetary policymakers. And the bar for change seems high. The review’s unofficial context is a decade of the Fed struggling to hit its inflation target and a labour market that was too lousy for too long. Even after that, Mr Clarida reckons the existing framework has “served us well”. Defenders could point out that central banks are hardly nimble creatures. If a reform of the Fed’s framework were in the offing, this is the sort of process you might expect to precede it. The idea of a rethink certainly has some senior supporters. On February 22nd John Williams, the head of the New York Fed, said that the risk of slipping inflation expectations called for a reconsideration of the “dominant inflation-targeting framework”. Even if, as most expect, there is no formal change, the discussion could still lead to a greater tolerance of temporary overshooting after periods of limpness. Interest-rate rises are on hold for now, which could be evidence that the Fed is rethinking its carving technique. But with inflation still hovering around its target, it has not yet made a mark. The London Metal Exchange has backed a consortium of metals traders and banks to build a blockchain-based system to track the trade of physical metal, according to people familiar with the effort. The world’s largest metals trading venue has supported the group led by Swiss trader Mercuria, which would provide a better picture of the flow of metals around the world, the people said. Dubbed “Forcefield” it also includes banks such as Macquarie and ING. The effort would enable industrial consumers to better track the source of their metal and also give metals traders secure ownership of their inventory. It comes as companies face growing pressure from investors and NGOs to detail the environmental and social impacts of their supply chains. While the LME closely tracks metal such as copper, zinc and aluminium that sits in its global network of warehouses, a far larger amount of metal is traded and stored outside of the exchange. In addition the LME has no approved warehouses in China, the world’s largest consumer of metals. 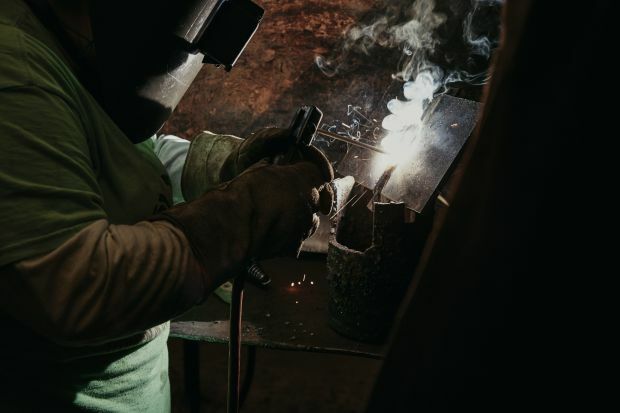 That makes it harder for traders and consumers to be certain about the supply of their metal and also to assess broader supply and demand conditions. Matt Chamberlain, chief executive of the LME, would not comment on the Mercuria initiative but said the metals industry needed to agree on a tracking and storage system based on blockchain, the technology behind bitcoin. Blockchain’s distributed ledger technology would reduce the need to have one central owner of the database, who would have too much private information to make it viable. In 2016, the LME launched an electronic tracking system known as LMEshield, but it has not received widespread adoption by the industry. In a blockchain-based system “you know where your metal is, you have proof of your metal, but nobody can see what your metal is and where your metal is,” Mr Chamberlain said. How wrong you would be. Bankers grumble about subterranean official interest rates—they must pay the European Central Bank 0.4% a year to deposit cash—that show no sign of rising. Those compound an old problem: Germany’s extraordinarily crowded banking market. The country has 1,580 banks, grouped in three “pillars”: private, public and co-operative. Although the grand total is shrinking by 40-60 a year, the public pillar still contains 385 Sparkassen—savings banks, mainly municipally owned—and half a dozen Landesbanken—regional lenders, such as Helaba, that also act as clearers for Sparkassen. There are 875 local co-ops. Their clearer and corporate lender, DZ Bank, is Germany’s second-biggest bank by assets. Some, to be sure, have found ways of making money. Unencumbered by the cost of running branches, DiBa, an online bank owned by ING, a Dutch lender, has clocked up double-digit returns on equity (ROE). But according to Oliver Wyman, a consulting firm, German banks’ average ROE dwindled from a thin 4% in 2010 to a dreadful 1% in 2016. Big private-sector banks are the most discomfited by the lack of elbow room. They have to compete with public and co-op sector banks that have goals beside profits. The private banks’ shareholders regard 10% as a decent ROE. 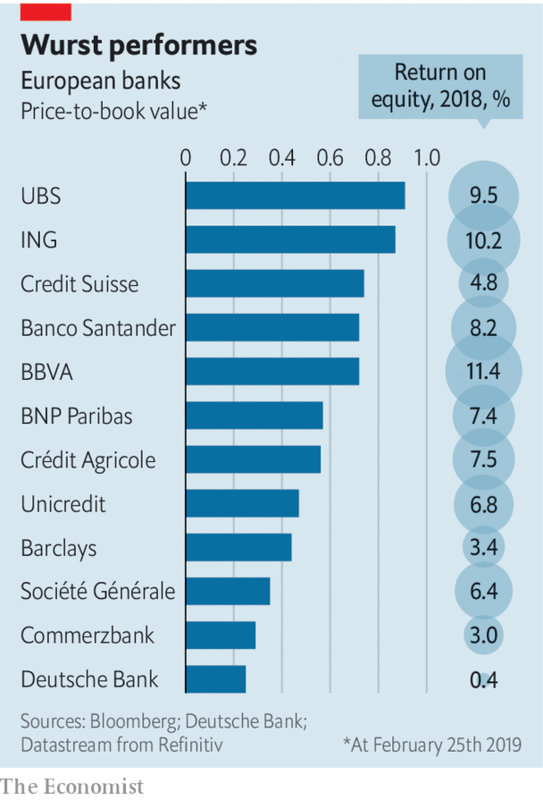 Few big European banks hit that mark; Germany’s are far from it (see chart). Deutsche Bank, the country’s biggest bank, left it ludicrously late to adapt to the financial crisis of 2007-08. Since 2015 it has been undergoing a painful restructuring, including cuts in global investment banking, where before the crisis it went toe-to-toe with Wall Street’s mightiest. In 2018 it made its first annual profit in four years—just. Its ROE was 0.4%. Commerzbank, the third-biggest, made a mere 3%. On the stockmarket Deutsche is worth less than a quarter of the book value of its equity; Commerzbank, a little more. Reportedly, Germany’s government would like to see Commerzbank and Deutsche Bank merge. Politics aside, the state has a limited direct say. It owns 15% of Commerzbank, the legacy of a bail-out and a merger with the stricken Dresdner Bank in 2008-09. It has no stake in Deutsche. Rumour has also linked Commerzbank with French and Italian suitors, and suggested that Deutsche’s bosses would prefer a deal with Switzerland’s UBS, but ministers may be loth to see another big bank in foreign hands (HVB, based in Munich, is owned by Italy’s UniCredit). In a speech on industrial strategy last month Peter Altmaier, the economy minister, included Deutsche in a list of “national champions”—although national albatross is more accurate. It is possible to build a business case for a deal. The main gains would come from cutting costs and greater scale in retail banking. Deutsche has around 1,500 branches (including those of Postbank, which it bought in 2008-10) and Commerzbank 1,000. Combined, the two would have nearly 20% of total deposits, according to Autonomous Research, easily the biggest share. 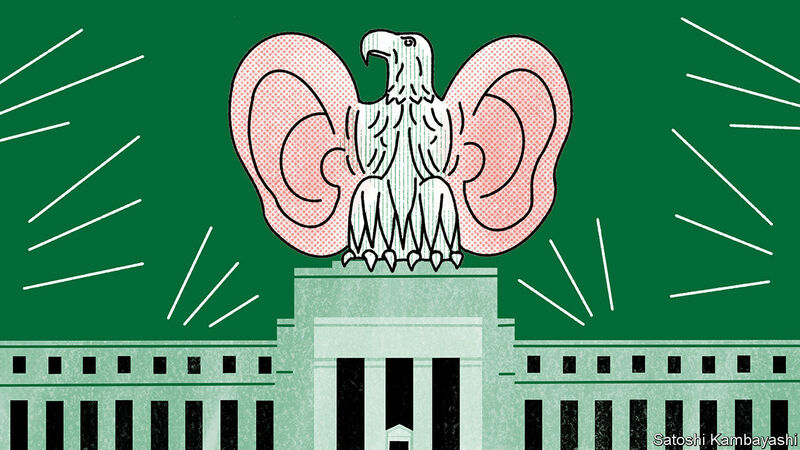 There is some overlap in business customers, but Commerzbank focuses on the Mittelstand, Germany’s army of mainly private, export-oriented firms and Deutsche more on bigger companies. Commerzbank has quit investment banking; Deutsche, though weakened, has clung on. And the deal would do little to ease the banks’ biggest headache: the structure of Germany’s banking market. Though they consist largely of minnows, the public and co-operative sectors are serious rivals, accounting for most deposits, mortgages and lending to companies. Without faster consolidation in those pillars—or inter-pillar deals— marriage will not bring Commerzbank and Deutsche bliss. Helmut Schleweis, the head of the German Savings Banks Association (DSGV), which represents the public-sector banks, has called for the creation of a “super Landesbank”. According to Handelsblatt, a financial newspaper, he wanted to start with the merger of Helaba and NORD/LB, another Landesbank holed by bad shipping debts, and eventually to bring in LBBW, from the south-west, Deka Bank, an asset manager, and Berlin Hyp, a mortgage lender. Without that first stage, the super-Landesbank looks improbable. Even with it, persuading public-sector owners, with their own political agendas, to give up a large stake in their local bank for a smaller slice of a national one would be a tall order. A regional savings banks’ association owns nearly 70% of Helaba, for instance; the state of Baden-Württemburg owns 41%, and the city of Stuttgart 19%, of LBBW. Mergers between pillars remain all but unthinkable for now. Klaus-Peter Müller, a former boss of Commerzbank, once declared that he admired the Sparkassen so much he would like to buy one, if only he could. With that path to consolidation closed, his successors may wonder how they will ever make much money from the domestic market. 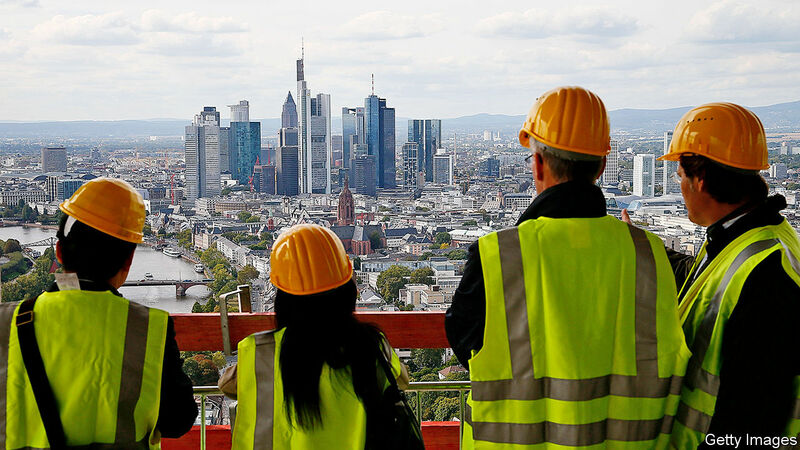 But others might look at Germany’s economic record over the decades and conclude that the three-pillar system has served the country pretty well—even if it frustrates some of the occupants of Frankfurt’s towers. 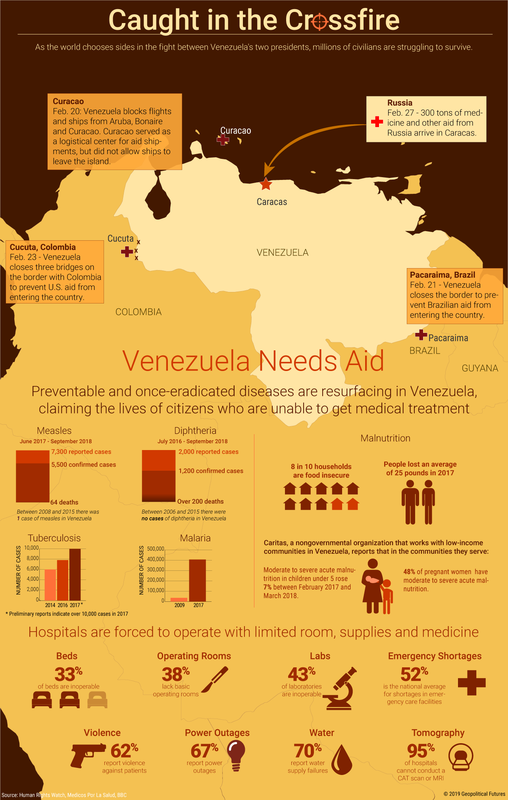 As the world chooses sides in the fight between Venezuela's two presidents, millions of civilians are struggling to survive.